Asiad Steels is one of the renowned manufacturers and suppliers of CUPPRO - NICKEL FASTENERS. Meanwhile, this Cupronickel (also known as copper-nickel) is an alloy of copper that contains nickel and strengthening elements, such as iron and manganese. 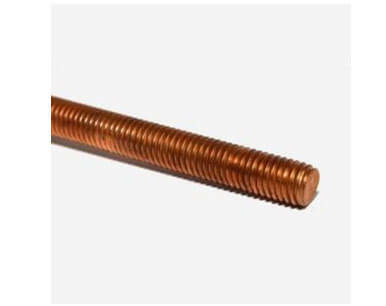 Copper-nickel alloy fasteners are widely used for marine applications due to their excellent resistance to seawater corrosion, low macrofouling rates, and good fabricability. 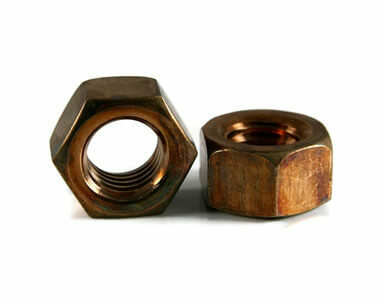 These Copper Nickel Fasteners are used for Marine application are very important for all Industrial fields. These Cupro Nickel 90 / 10 Fasteners are in high demand by our clients spread across the globe. Moreover, we can offer them in various dimensional specifications as required by the clients. Copper Nickel 90 / 10 Fasteners is relatively high iron content provides better impingement attack resistance. Cu-Ni 90 / 10 Fasteners is unique to stress corrosion cracking. This form of copper alloy gives the best service life under the most adverse conditions. Despite its high copper content, Cupro Nickel 70 / 30 Fasteners are silver in colour. Our talented expertise enables us to manufacture and supplier impeccable quality Copper Nickel 70 / 30 Fasteners. Cu-Ni 70 / 30 Fasteners is highly resistant to corrosion in seawater because its electrode potential is adjusted to be neutral with regard to seawater. The addition of iron results in 90/10 performing as well as 70/30 in salt water service heat exchangers. Due to the specific properties of nickel and copper alloys, they are applied in various domains of industry e.g. mint industry, armaments industry, desalination industry, marine engineering, extensively used in the chemical, petrochemical and electrical industries. 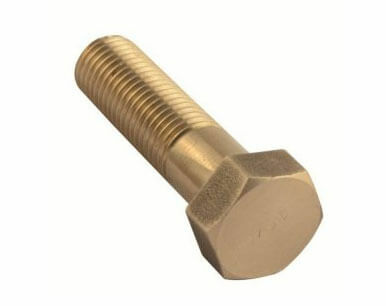 Buy Copper – Nickel Alloy Fasteners at reasonable rates from us. We are Exporter of Cupro Nickel Fasteners Heavy Hex Nuts in Worldwide Such as India, Greece, Canada, Azerbaijan, Afghanistan, China, Croatia, Norway, Kazakhstan, Yemen, Gambia, United Arab Emirates, Kuwait, South Korea, Bangladesh, Colombia, Chile, Czech Republic, Qatar, Zimbabwe, Australia, Bolivia, Jordan, Indonesia, Algeria, Finland, Estonia, Macau, Switzerland, Ghana, Austria, Belarus, New Zealand, Venezuela, Portugal, Iran, Angola, Thailand, Malaysia, Ireland, Netherlands, Oman, Hong Kong, Namibia, Peru, Chile, Vietnam, Pakistan, Iraq, France, Iran, South Africa, Gabon, Puerto Rico, Italy, Sri Lanka, Saudi Arabia, Ukraine, Mongolia, United Kingdom, Mexico, Taiwan, Romania, Costa Rica, Singapore, Brazil, Trinidad & Tobago,Tunisia, Sweden, Nigeria, Russia, Hungary, Nigeria, Germany, Morocco, Belgium, Poland, Bahrain, Lithuania, Poland, Mexico, Libya, Japan, Lebanon, Bulgaria, Denmark, Spain, Kenya, Bhutan, Tibet, Argentina, Nepal, India, Egypt, Philippines, Turkey, Serbia, United States, Israel, Slovakia, Ecuador. We are Suppliers of Copper Nickel Fasteners StudBolts in India Such as Mumbai, Chennai, Singapore, Mumbai, Port-of-Spain, Jamshedpur, Bhopal, Istanbul, Visakhapatnam, Ahmedabad, Aberdeen, Jakarta, Tehran, Muscat, Bengaluru, Mexico City, Sydney, Bogota, Dallas, Abu Dhabi, Manama, Gimhae-si, Melbourne, La Victoria, Santiago, Thiruvananthapuram, Brisbane, Rio de Janeiro, Busan, Granada, Colombo, Indore, Perth, Al Khobar, Milan, Toronto, Kuala Lumpur, Ernakulam, Bangkok, Kanpur, Seoul, Ulsan, Courbevoie, Nagpur, Madrid, Ludhiana, Montreal, Doha, Pimpri-Chinchwad, Chiyoda, Geoje-si, Noida, Hong Kong, Pune, Jaipur, Surat, Howrah, Kolkata, London, Hyderabad, Vadodara, New York, Houston, Hanoi, Caracas, Cairo, Coimbatore, Atyrau, Nashik, Baroda, Ho Chi Minh City, Dammam, Sharjah, Edmonton, Al Jubail, Petaling Jaya, Karachi, Ranchi, Ahvaz, Haryana, Secunderabad, Lahore, Riyadh, Navi Mumbai, Calgary, Chandigarh, New Delhi, Dubai, Algiers, Gurgaon, Jeddah, Thane, Faridabad, Lagos, Kuwait City, Ankara, Rajkot, Moscow, Vung Tau, Los Angeles.